Whether you need a new website or a facelift for an existing site, Shiny 9 will help you with a stylish, cutting-edge design for your website and your branding. All our websites are responsive, meaning that they’ll look great on any screen width, even down to mobile phones. We also match our design to your existing logo and collateral, to help keep your branding consistent. If you’ve already got a company building a website for you, we can help as a technical liaison between you and that company. We know what to look for in a scope of work, and how to keep you from being burned at the end. We can also help with communication – we’ll translate technospeak into plain English and vice versa. If you’ve got custom coding needs, Shiny 9 can help you achieve your goals. Need the website to communicate with your CRM? We can do that. Need it to communicate with an external database on another server? We can do that too. Need it to make you toast? ….Um, we can’t do that, sorry. Confused by the difference between a Facebook Profile and a Page? Unsure what you’d use Twitter for? Let Shiny 9 help you out by creating profiles for you on the appropriate social media sites, and styling them to match your branding. Do you have a website which isn’t ranking on Google? Or do you want to make sure your new website is built in accordance with new algorithms? Shiny 9 will make sure to build your website the right way, and we have partnerships with other prominent SEO companies to help you get higher rankings. Think of us as the architect who builds your house in a way that’s proven to sell, and our partners as the real estate agents who sell the house. 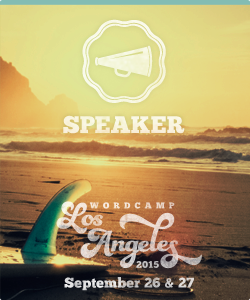 For more information on what WordCamps are or what makes them special, read more about Shiny 9's involvement with the WordPress community.